A Gold ETF is an exchange-traded fund (ETF) that aims to track the domestic physical gold price. They are passive investment instruments that are based on gold prices and invest in gold bullion. In India, Gold is usually held in ornament form, which has a certain making and wastage component (usually more than 10% of bill value). This is eliminated when investing in a Gold Fund. Buying gold ETFs means you are purchasing gold in an electronic form. 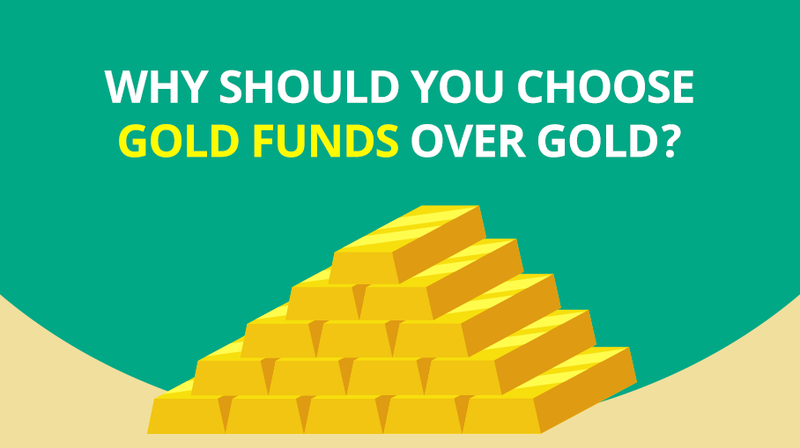 You can buy and sell gold ETFs just as you would trade in stocks. When you actually redeem Gold ETF, you don’t get physical gold, but receive the cash equivalent. 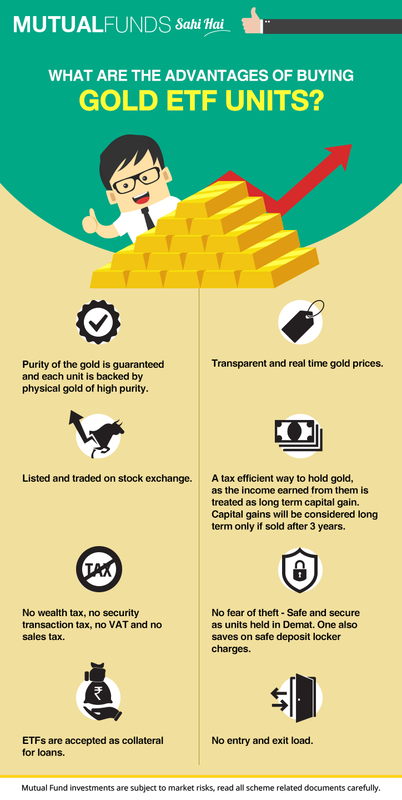 Trading of gold ETFs takes place through a dematerialised account (Demat) and a broker, which makes it an extremely convenient way of electronically investing in gold. Because of its direct gold pricing, there is a complete transparency on the holdings of a Gold ETF. Further due to its unique structure and creation mechanism, the ETFs have much lower expenses as compared to physical gold investments.